Bitcoin and Ethereum are the two largest cryptocurrencies in the world today. As of January 2018, bitcoin (BTC) has a market cap of around $200 billion USD, while Ethereum has a market cap of around $100 billion. Bitcoin was released in 2009. It was the world’s first cryptocurrency. Bitcoin introduced us to the concept of the “blockchain”. It revolutionized the way we transfer money securely online. Ethereum, introduced in 2015, is seen as the “second generation” of blockchain technology. It operates in a fundamentally similar way to bitcoin (they’re both based on blockchains). However, Ethereum introduces several unique concepts that have pushed the crypto industry into new areas. What’s the difference between bitcoin and Ethereum? Which cryptocurrency is better? Today, we’re explaining everything you need to know about bitcoin versus Ethereum. Bitcoin was introduced in 2009 by a mysterious individual – or group – known as Satoshi Nakamoto. The bitcoin whitepaper was published in late 2008. That whitepaper explained how a blockchain could be used to solve global money transfer problems. Obviously, you know what happened next. Bitcoin moved from a niche currency for nerds into a currency for the dark web. Then, it grew massively in popularity, ultimately becoming the mainstream cryptocurrency it is today. Ethereum was proposed in 2013 by Russian-Canadian programmer Vitalik Buterin. Buterin, amazingly, was just 18 or 19 when he started developing Ethereum. Ethereum would use a cryptocurrency called Ether. It was built on a blockchain – like bitcoin – but also provided a decentralized Turing-complete virtual machine to the network. That machine was called the Ethereum Virtual Machine, or EVM. Essentially, it allowed users to run programs on the blockchain. Ethereum’s development was funded by a crowdsale that took place between July and August 2014. The platform launched a year later, on July 30, 2015. There’s one other major point in Ethereum’s history you need to know about. In 2016, a group proposed a project called The DAO (or “Decentralized Autonomous Organization”). Essentially, The DAO would pool the money of investors together, then use blockchain-based voting to allocate funds. It’s a type of crowd wisdom-based investing. The DAO raised a lot of money during its crowdsale – over $150 million USD. Then, soon after the crowdsale was complete, a hacker stole $50 million. The Ethereum community had to make a tough decision: they could move forward with the stolen money. Or, they could “roll back” the blockchain using a hard fork, effectively reallocating the stolen funds. 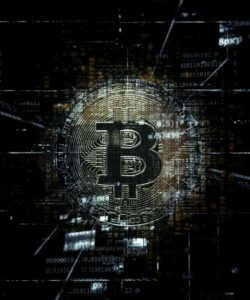 The majority of the community agreed with the hard fork idea. They performed the hard fork, and this led to the creation of Ethereum and Ether (ETH). Other members of the community believed in the immutability of the blockchain. They decided to move forward without the stolen money. This group created Ethereum Classic and Ether Classic (ETC). Today, we have two main versions of Ethereum, including ETH and ETC. As of January 2018, ETH is priced over $1,000, while ETC is priced at under $35. When people talk about Ethereum, they’re almost always referring to ETH. What’s the Difference Between Bitcoin vs. Ethereum? Both bitcoin and Ethereum are blockchain-based networks. However, the two projects were created with vastly different goals. Bitcoin, introduced in 2009, was built with the goal of offering lower transaction fees than traditional online payment platforms. The creator – Satoshi Nakamoto – proposed a decentralized network that was outside the control of any centralized authority. This made it superior to government-issued currencies like the USD and EUR. And, because there’s only a fixed number of bitcoin (21 million), it’s expected to be a deflationary currency as opposed to an inflationary currency. We have inflation today because the government prints off billions of dollars in paper money each year. Smart contracts are contracts secured by the blockchain. Two parties can enter into a smart contract, lock a certain amount of funds (like ETH) into the contract, then have the blockchain automatically execute the contract when certain pre-built conditions are met. Decentralized apps or distributed apps are entire applications built on the Ethereum blockchain. These apps can build their own Ethereum-based cryptocurrencies. The currencies typically fall into categories like ERC20 tokens or ERC223 tokens. Ultimately, bitcoin and Ethereum are both blockchain-based networks. Bitcoin, however, was designed to replace traditional currencies and banking systems. Ethereum, meanwhile, was designed as a development environment. Ether is seen less as a currency and more as a way to enable developers to run distributed applications.